All times are in GMT +12 :: The time is now 12:53 am. How do I find the Serial Number or Authentication (Auth) Code for my FlashScan or AutoCal device? The Authentication (Auth) Code will be shown in the Auth code: field. Note: An Auth Code is not applicable to a Scan Only product, only devices with a Tuning Option license. 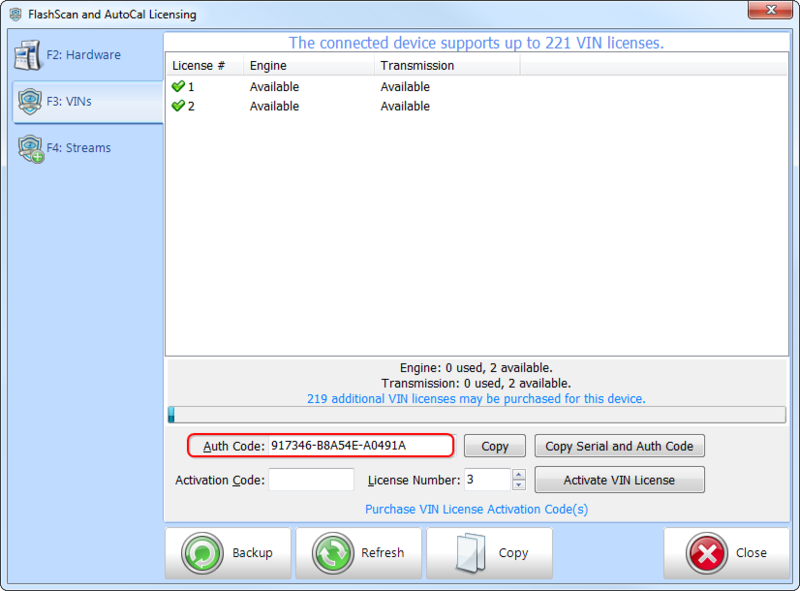 If generating the serial and auth-code to place an order, check that the number of additional VIN licenses that may be purchased for the device is greater than zero. 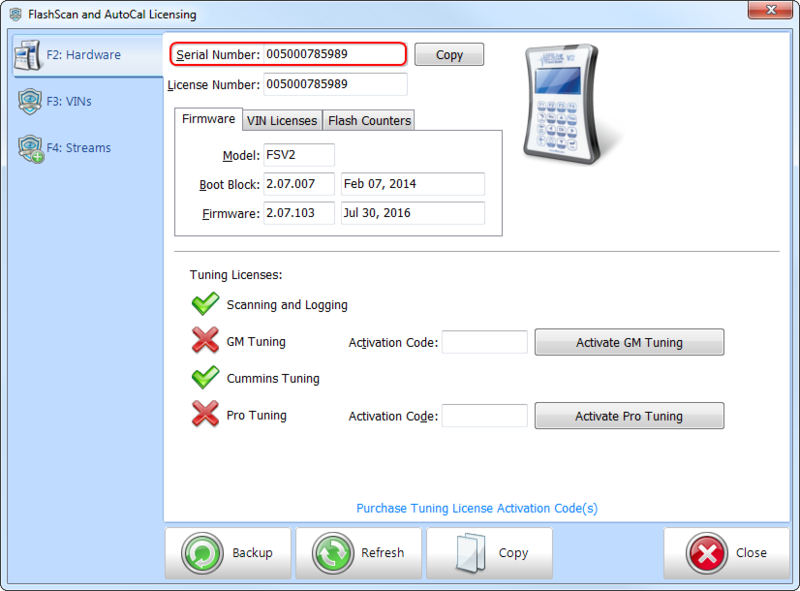 Tuners manage maximum VIN license slots for their AutoCal customers. Connect your FlashScan V1 device to your PC. Open the EFILive Tune Tool application. Click on the Help menu and select the FlashScan V1 PCM licensing... menu option. The Authentication (Auth) Code will be shown in the Auth code: field. Note: An Auth Code is not applicable to a Scan Only product, only Scan and Tune devices.